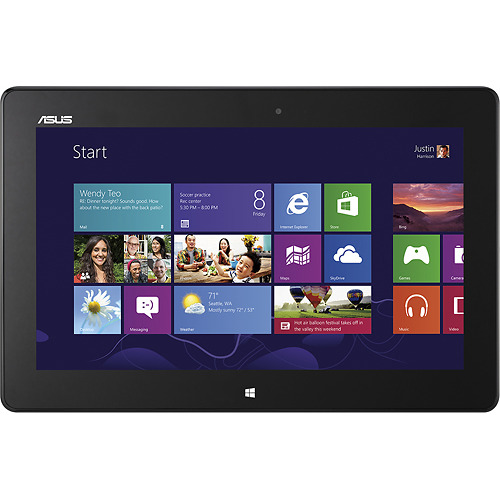 The ASUS VivoTab Smart ME400 Tablet is running Windows 8, this gives the ASUS VivoTab Smart a great selection of applications. Actually it is pretty much anything will run in a Windows environment. 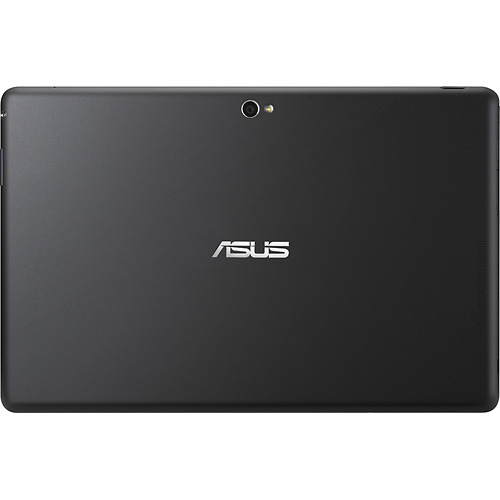 Toss in the battery life that we experienced and the increased portability of the 10.1" size and the ASUS VivoTab Smart is great alternative to an ultrabook and a great tablet overall! Despite stylish looks and good build quality, the Asus struggles to make its case. The lack of a proper docking keyboard nixes its appeal as a laptop substitute, and the lack of a USB port severely impacts upon its day-to-day utility. While the VivoTab Smart ME400C gets the price and the looks right, it's sorely lacking in practicality. As far as performance goes, the VivoTab Smart operates much more like a tablet than a laptop, and quite a weak one at that. As part of the Cloverview SoC, Intel’s 1.8GHz Atom Z2760 processor is convincingly out-gunned by the high-end ARM chips in mobile devices, such as the Nexus 4′s Snapdragon S4 Pro that we compared it to. 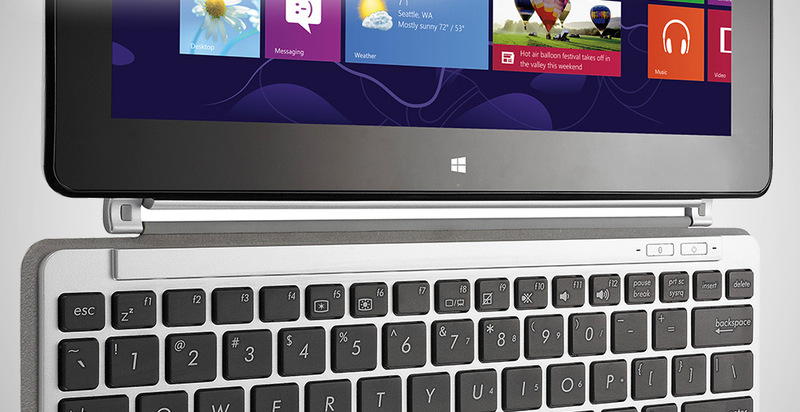 The lowly dual core is no match for even the most basic of real laptop processors. The Bluetooth keyboard accessory is surprisingly pleasant to use. Not only is it extremely lightweight and slim—you wouldn’t think twice about tossing this in your bag alongside the VivoTab—it’s surprisingly comfortable to type on. Well, relatively speaking. 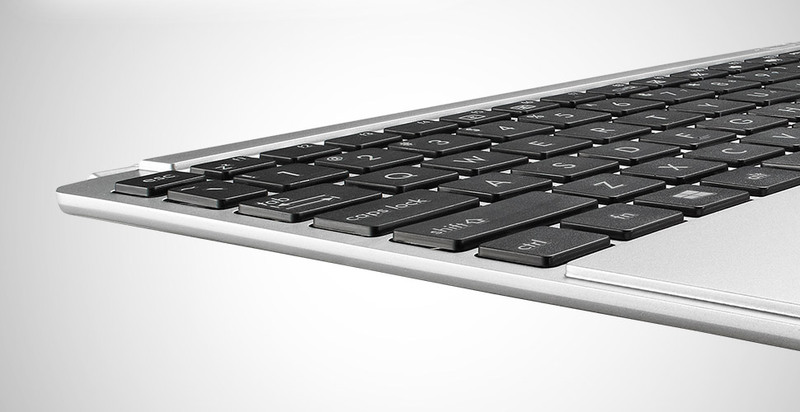 The island-style keys are small, but well-spaced, and they offer considerable tactile feedback. It’s certainly not my first choice among keyboards, but as far as externals go, it’s pretty good. 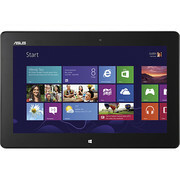 As a lightweight hybrid that’s more tablet than laptop, the Asus VivoTab Smart is a decent choice. 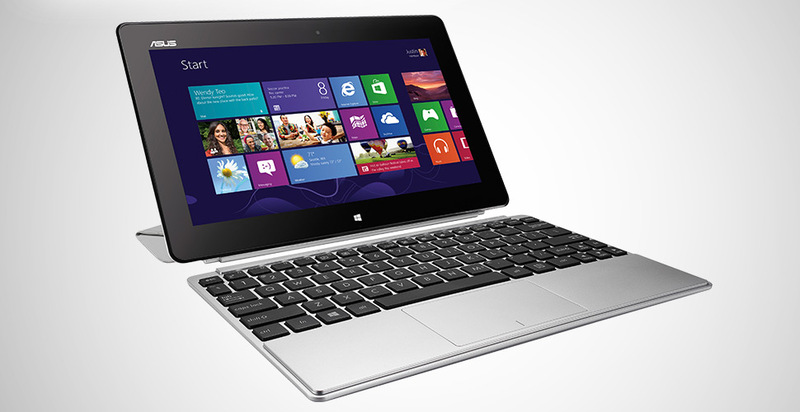 This tablet is both extremely portable and usable, and the full Windows 8 OS is a welcome bonus. 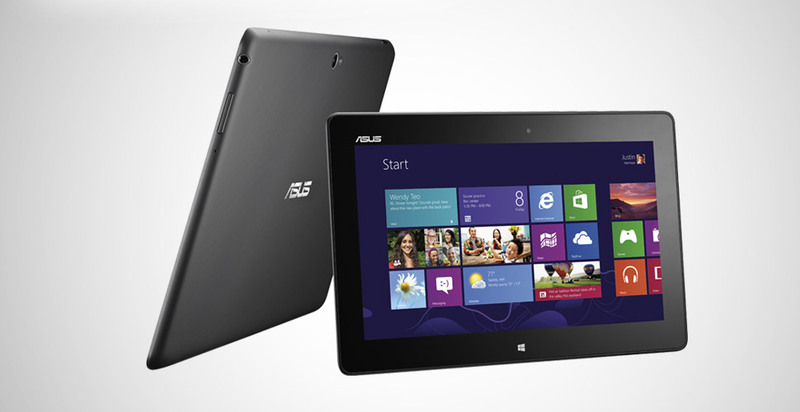 60% Asus VivoTab Smart ME400 review: the Windows 8 tablet to rival Microsoft's Surface? 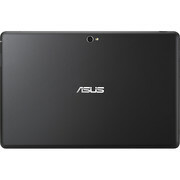 Asus has done a good job with the VivoTab's design, producing a tablet that can compete with any of its Windows, Android or iOS rivals. The dual-interfaces of Windows 8 still feel like a compromise when running on a tablet, but if you do need to run existing Windows software on a light and compact portable device then the VivoTab provides a good alternative to Microsoft’s own Surface tablet. The device comes loaded with the full version of Microsoft's latest touch focused operating system, making it infinitely more business friendly than any other RT tablets. This value proposition is slightly let down by the device's Atom-based Intel chip, which while helping make its battery life good, does make it feel slightly slow compared to other tablets. Positive: Good quality; light weight; decent quality camera; the IPS display; long battery life; price. Negative: Weak microphone; No adapter from micro-USB to USB.